Because the knowledge of the secrets of the kingdom of heaven has been given to you, but not to them. Whoever has will be given more, and they will have abundance. Whoever does not have, even what they have will be taken from them. How can one affirm that through history, Christianity has been the only religion of ancient times that did not have a set of internal instructions? The question is more a matter of evidence than just a theory and it should be judged by the documents left behind, not necessarily by the hearsay of the modern Christians. The New Testament and the documents left by the primitive church all point to the real existence of Mysteries of Initiation inside of the ancient church, with a list of requirements and Code of Ethics that should be followed by the initiate after the Rite of Baptism. It is a known fact that even the ritual recitation of prayers were cautiously instructed, with the prayer of the Pater Noster reserved for the recitation of those already adept in the new religion. 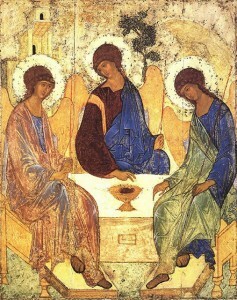 If we consider the diversity of different lines of thoughts, philosophy and cultures that influenced the early church, we cannot help but admit that Christianity in the early times, along with other school of Wisdom, did have its Gnosis and indeed was a repository of esoteric knowledge which gave it dignified position in the hall of Ancient Spiritual traditions. If we analyze the New Testament and the four Gospels, putting aside the tedious discussion about the different interpretations, translations and knowledge of its authors; we find a common ground of study. There was a selective set of teachings that was transmitted to just a few of the disciples. This evidence can even be perceived through the writings of the Apostle Paul, who guided and inspired the early Church as the heir of the apostolic tradition of the Christ. When Christ Jesus was alone, the twelve disciples and the others around him asked him about the parables. With many similar parables Jesus spoke the word to them, as much as they could understand. He did not say anything to them without using a parable. But when he was alone with his own disciples, he explained everything. (Mark 4, 33-34). 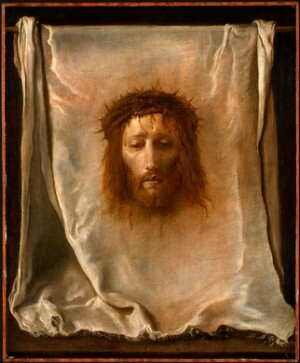 There is a tradition inside of the early primitive church that Jesus continued to visit his disciples long after his death; in the Gnostic treatise of Pistis Sophia, it is said that Jesus continue for eleven years, still guiding and instructing them on their path of mastership after his “passing”. The process of initiation can hold different names and even classifications, in ancient times it could be called “Heaven on Earth”, “the Kingdom of God”, “the Narrow Door”, “Eternal Life”, “the Perfect”, ”the Second Birth”, “the Child”. Their significance as initiation is clear. The Perfect was an expression from the Essenes to denote one that had entered their society; the Child was another term for those that had been ‘born again” in spirit to the new religion. 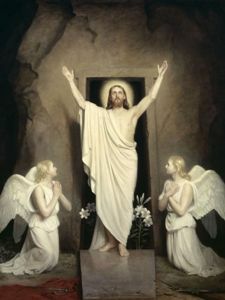 We cannot stress enough that the master Jesus was one of the greatest Souls that ever incarnated, and therefore, he would never have discriminated or enforced a partial outlook for those that took recourse to him for assistance, healing and salvation. Then Jesus went through the towns and villages, teaching as he made his way to Jerusalem. Someone asked him, “Lord, are only a few people going to be saved?” He said to them, “Make every effort to enter through the narrow door, because many, I tell you, will try to enter and will not be able to. No Savior of Humanity would imply that the fact of not reaching the “Narrow Doors” would lead one to the fires of hell, the “fires of Gehenna”. Jesus never said that non-Christians would not reach heaven and burn in hell. This inner teaching of this often misunderstood section of the Christian Bible refers to advancement of the soul. Gehenna was a place outside Jerusalem where the physical bodies of dead non-Jewish were burned. If we analyze the statement as the doors of initiation and the conquering of the wheels of Karma and rebirth, it is sound truthful and even natural. Enter through the narrow gate. For wide is the gate and broad is the road that leads to destruction, and many enter through it. But small is the gate and narrow the road that leads to life and only a few find it.